In case you’re wondering what’s happening as the result of this month’s Albany flag decision, stick around and with the help of Marilyn Smith, the public information officer at City Hall, you’re about to find out. 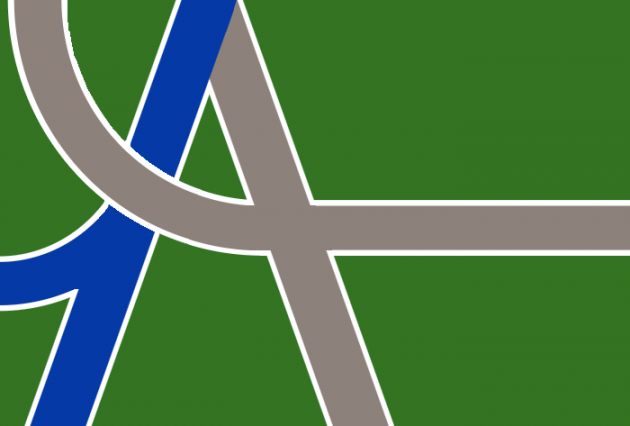 As you will recall, the city council sponsored a design contest after a club at West Albany High School suggested the city should have its own flag. A bunch of entries were submitted and five semifinalists were put out to the public for a survey. The flag club’s design ranked highest in the survey — a flag poll, actually, as my friend Jeff McMahon adroitly pointed out on KGAL — and the city council agreed that this should be the city flag design. The flags should have been sourced locally. Tin-eared politicos give lip service to area business, but when push comes to shove, political will gives way to the fear of a few bad headlines. No Dinx could knock that outta the park. CHINA!?!??! Arriving on the same shipping container as tRump’s ties and tRump’s “make ‘merica great again” hats? On the flipside, a small-handheld flag would be nice. A suggestion: one for every Albany resident as WE begin to pay that rain tax. I like this flag and will be looking for it at City Hall! Every thing is a lesson, especially for teachers. Ordering flags from China is teaching that the primary thing that matters is cost. Cost over jobs and over social responsibility. Teacher salaries are paid by taxes. It takes jobs to create taxes. When one chooses not to support jobs as close to home as possible, it has social consequences — less jobs for those in the U.S, and more poverty. Many folks say that things are not made in the U.S. But this is a self-fulfilling prophecy. I make it a habit of reading the origin of every single thing I buy, from my shoes to my salmon, and supporting U.S. jobs as much as possible. While this does not mean that everything I buy is from the U.S, it does mean that most of it is. Something as simple to find as a flag made in the U.S. would be a slam dunk if one cared about giving jobs to the families who send their kids to public schools. A quick google for ‘american made flag companies’ found sites which could do this in the United States, including a company at valleyforgeflag.com in addition to Elmer’s chosen by the city. The Elmer’s Flag and Banner web site states the their flags are mostly made in America, so kudos to the city for supporting this business.